In the last few years, wedding styled photo shoots have become increasingly popular among photographers. If you've always been interested but never knew where to start, keep reading. All the photos used are by the amazing SNAPster Shelley Richmond and were taken during SNAP 2018. Full suppliers credit at the end. A styled photo shoot is when a team of wedding suppliers comes together to realise a certain look or concept. It's similar to what happens with fashion photography, only specifically oriented toward the wedding market. Therefore, it will often feature a model or two dressed up like bride and groom or bride and bride/groom and groom. As it's targeting the wedding market it will also include all the details a couple organising their wedding might look for: invites, table arrangement, wedding cake and so on. Wedding styled shoots are an easy way to get some extra photography practice when you’re just starting out. They allow you to create a portfolio in the style that you aim to sell, targeting your ideal client. If they are innovative and contain enough interesting details, they might be published by a wedding blog which is free advertisement and can help you with your SEO. 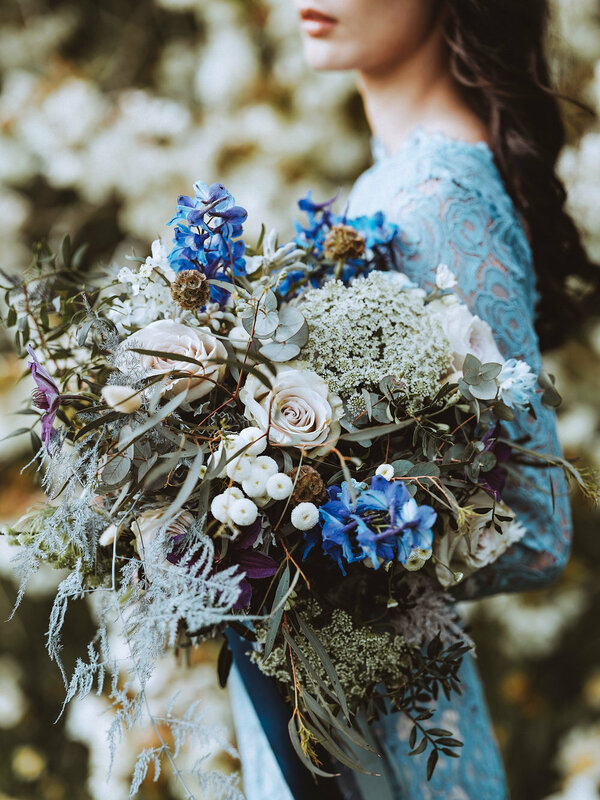 Styled shoots don't quite constitute real wedding experience as they are far more relaxed and don't include all the difficulties of an actual wedding day (tricky lighting and pressure being only two of them). Start with a concept. What style are you aiming for? When thinking of a styled photo shoot, make sure the style you choose represents your brand and what would appeal to your ideal client. Create a mood board: this is where the fun begins! Go on Pinterest and select images that fit your vision. Try to identify a precise colour palette, details you might want to include, style of dresses/suits, flowers, stationery, cake and so on. Make sure you have at least one strong image for each vendor you are planning to include. Ideally, you would start with pinning everything you like and gradually reducing the images to a good and clear selection. Consistency is absolutely key. Canva has several templates for mood boards, you might find those helpful. Once you have the final mood board, you can start emailing people with similar styles to check their interest. Ideally, the location would be the starting point. 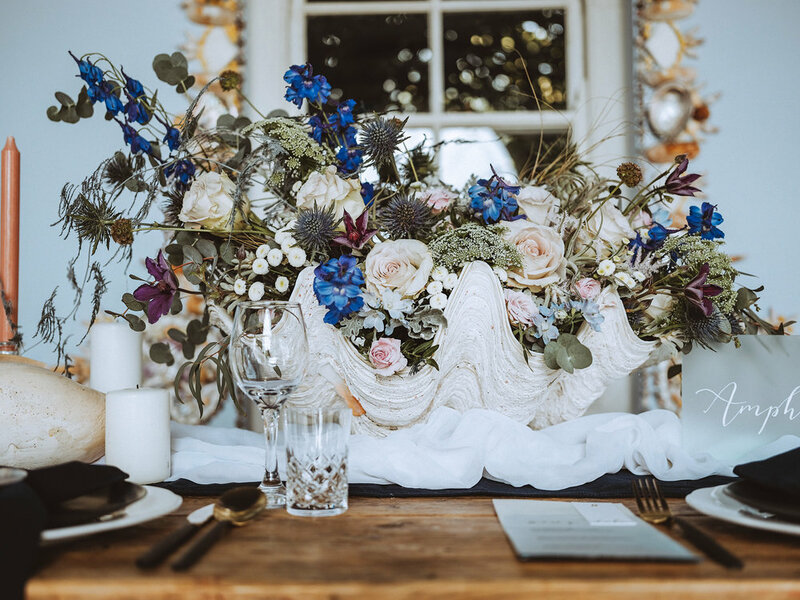 Venues are usually quite busy and have very limited availability, so to have a date and a place before you even start contacting the rest of the team, would be a great advantage even if not an absolute must. Find wedding suppliers on Instagram, Facebook and email them. Make sure to mention why you appreciate their work and link to your portfolio. Do not feel intimidated, most suppliers are more than happy to collaborate in photo shoots. If you're co-organising the shoot is always a good idea to budget some money to cover some costs (from food to travel expenses and so on). If you're just starting out you might not have a big budget, but remember investing in your business is key and it will pay off later. Models are of course particularly important, so make sure they are reliable and won’t cancel on you last minute. Whether you contact a real couple or hire models on sites like Purple Port or Model Mayhem, make sure they are fully committed and, if possible, always have at least one alternative. The deal: everyone gets high-res images they can use on their websites and social media, but they all need to credit the full team when sharing them. Communication is key before the day, make sure you catch up regularly with updates and always make yourself available for questions. If possible meet up in person before the photo shoot. Once the team is complete, make sure you come up with a detailed timeline for the day. That helps enormously, as everyone will have a general sense of how long they have to work on their bits. It's always a good idea to get some refreshments for the whole team. The day is always very long and tiring. Make the atmosphere relaxed and pleasant, not stressful. Bring a few model release forms. You don't want to take some amazing photos and later on being forbidden to use from your models. People do change their mind unexpectedly sometimes. Have a shoot list, that is to say, a list of all the shots you must cover. Remember to shoot for everyone. 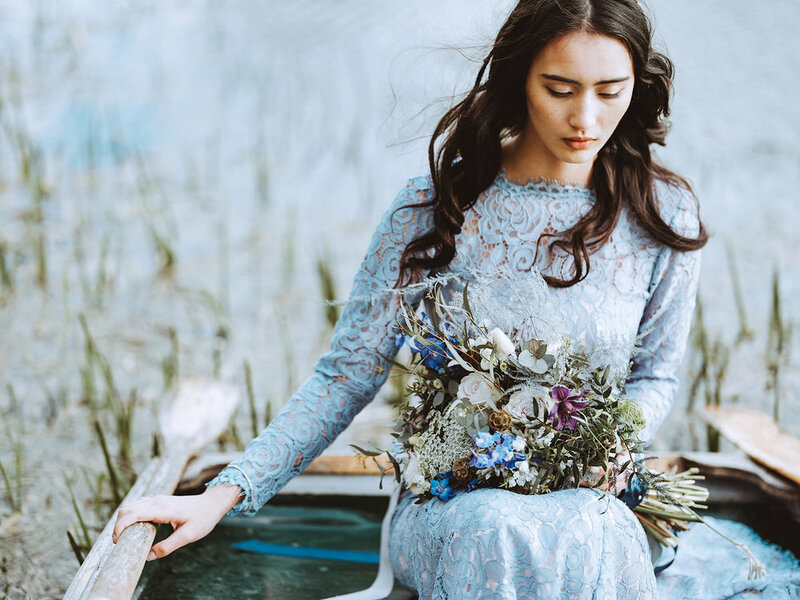 Styled shoots are a team effort and it would be unfair to all the suppliers to not have photos of their product after all the hard work they put into it. Bring someone to help, it’s always good to have an extra pair of hands. Include loads of details, blog loves them. Make sure you also take some nice portrait photos (and not just landscape). They are more Pinterest friendly. The key to a successful styled shoot is starting with a cohesive mood board and brief for all the team involved. You want to include as much information as you can on the inspiration, set ups/ fashion/ product to be captured and of course the publications you are aiming at. The more information the better so you can ensure everyone can flex their creative muscle but maintain an overall consistent look and feel. Share the gallery with all the suppliers. Submit to a wedding blog (this deserves a whole separate blog post), but don't get discouraged if they say no, just keep submitting. 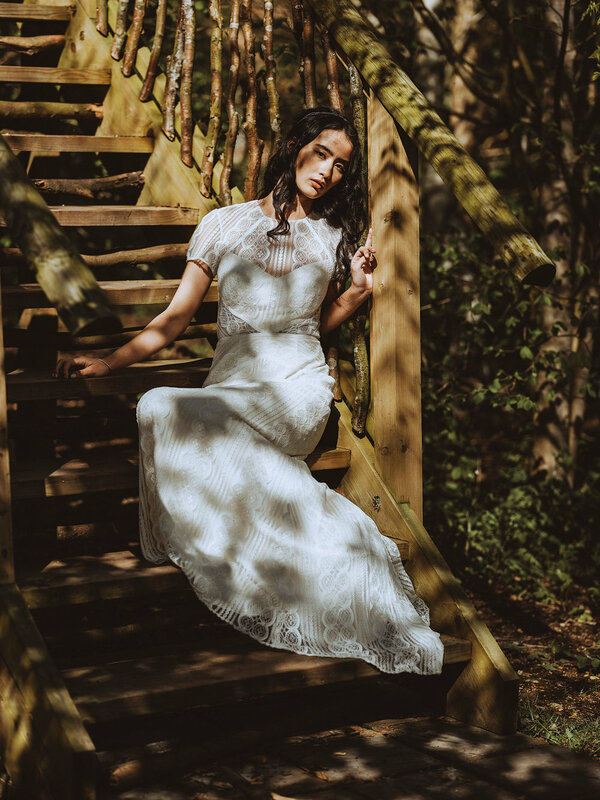 Styled shoots like the one above will be hosted at SNAP 2019… Ready to get your ticket?